The Bible is a stumper for many of us, not unlike the Riddler teasing Batman with his "riddle me this" taunts. But what if we could know what some of those obscure passages mean? What's the truth hidden in the myth of Adam and Eve? And what was up with that Tower of Babel? 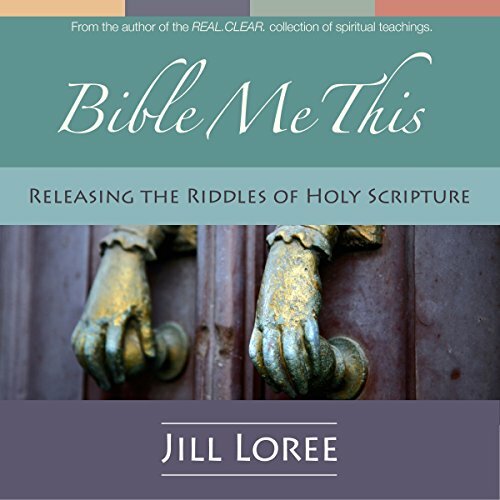 Bible Me This is a collection of in-depth answers to a variety of questions about the Bible that were asked of a spirit being known only as the Guide, and spoken by Eva Pierrakos. Through biweekly lectures given over the course of two decades, the Guide provided volumes of deeply spiritual yet practical wisdom. Along the way, these teachings were named the Pathwork. Between monthly lectures, Eva also held Q and A sessions during which participants could ask questions related to the most recent lecture, personal problems, or understanding life in general. The Guide also encouraged participants to ask questions about the Bible and those are the answers presented here, edited for brevity (you can thank me later) and levity - this is, after all, a journey toward the light.